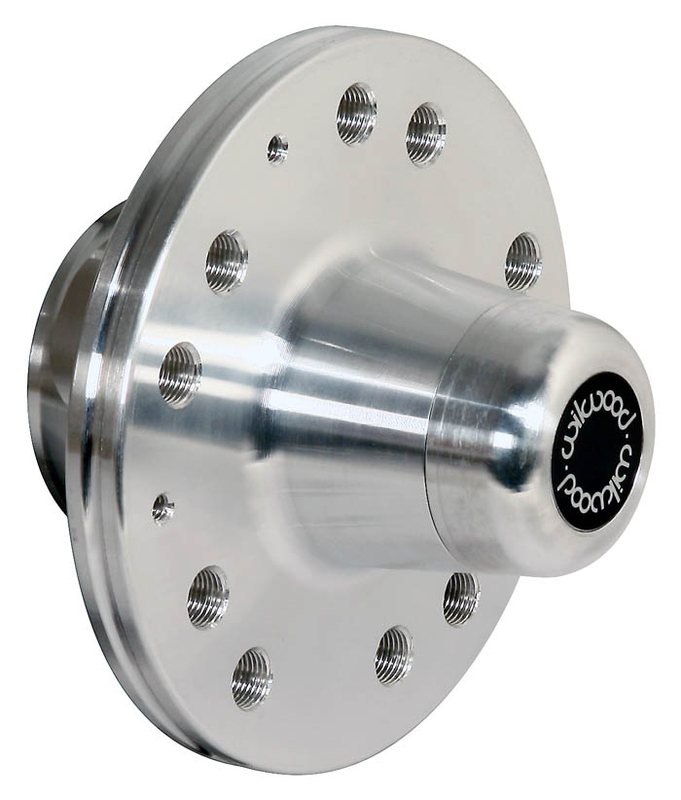 Wilwood’s ProStreet & Drag Hubs and Starlite Racing Hubs remain the industry standard. Manufactured using high strength aircraft aluminum alloy, cast to exacting tolerances and precision machined to assure consistent strength and durability. The innovative hollow core design has been refined and race proven, and Wilwood’s high output manufacturing capabilities have made it both racing tough and economical. Forged Billet Hat Mount Hubs are made from premium grade alloy billets are forged into shape under high heat and pressure, then CNC machined for precise fit on each spindle application. 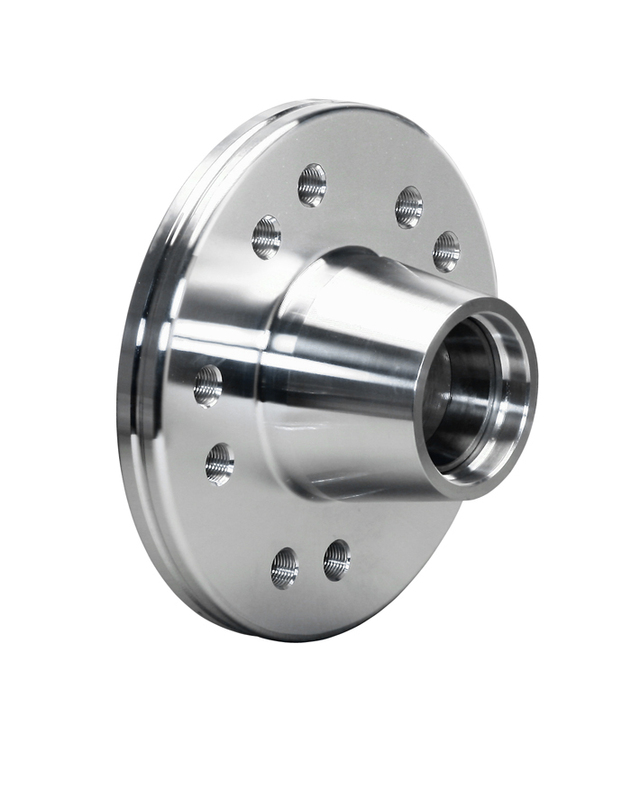 Intended for use with used with aluminum mounting hats, this specific hub is double drilled on a 5 x 4.50" / 5 x 4.75" wheel lug pattern. Hubs include bearing races and screw-on aluminum caps. INSTALLATION NOTE: Hub contains 3 qty 1/4-20 holes for hat retention. Use bolt kit 230-7032. Forged Billet Hat Mount Hubs are made from premium grade alloy billets are forged into shape under high heat and pressure, then CNC machined for precise fit on each spindle application. 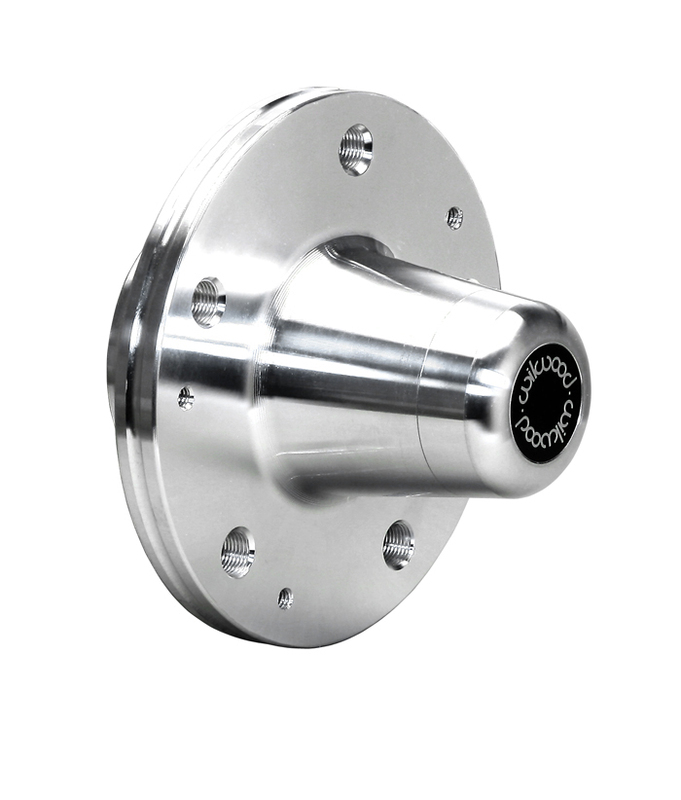 Intended for use with used with aluminum mounting hats for Hubs are either single or double drilled from 5 on 4.50" up 5 on 5.00" wheel lug patterns depending on part number. Hubs include bearing races and screw-on aluminum caps. 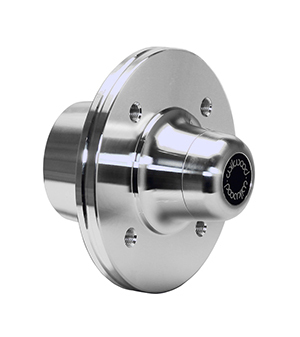 Forged Billet Hat Mount Hubs are made from premium grade alloy billets are forged into shape under high heat and pressure, then CNC machined for precise fit on each spindle application. Intended for use with used with aluminum mounting hats, CDP (Chrysler/Dodge/Plymouth) Hat Mount hubs are double drilled with a 5 x 4.50"/5 x 4.75" wheel lug pattern. Hubs include bearing races and screw-on aluminum caps. Forged Billet Aluminum Vented Rotor Offset Hubs are made from premium grade alloy billets are forged into shape under high heat and pressure, then CNC machined for precise fit on each spindle application. Intended for use with intermediate adapter plates, but can also be used with aluminum mounting hats for custom applications. Sunbeam Tiger hubs are single drilled on a 4 x 4.25" wheel lug pattern. Hubs include bearing races and screw-on aluminum caps. Forged Billet Hat Mount Hubs are made from premium grade alloy billets are forged into shape under high heat and pressure, then CNC machined for precise fit on each spindle application. Intended for use with used with aluminum mounting hats. This specific hub is single drilled on a 5 x 4.75" wheel lug pattern. Hubs include bearing races and screw-on aluminum caps. Forged Billet Hat Mount Hubs for the C10 Pickup are made from premium grade alloy billets are forged into shape under high heat and pressure, then CNC machined for precise fit on each spindle application. C10 hubs are intended for use with used with aluminum mounting hats. C10 Hubs are Double drilled in a 5 x 4.75" and 5 x 5.00" wheel lug pattern. Hubs include bearing races. Uses a press in bearing cap, available separately (Part # 270-12403). INSTALLATION NOTE: Hub does include cap assembly. Order 1 qty 270-12403 per hub, for replacement. Forged Billet Hat Mount Hubs are made from premium grade alloy billets are forged into shape under high heat and pressure, then CNC machined for precise fit on each spindle application. Intended for use with used with aluminum mounting hats, these specific Hubs for 1968 - 1972 Ford F-100 are dual drilled on a 5 on 4.50" and 5 x 4.75" wheel lug pattern. Hubs include bearing races and use a screw on cap. Wilwood’s new Zero Offset Rotor Adapter for Wide 5 hubs adapts any standard fixed mount rotor hub with an 8 x 7.00” bolt circle, to a dynamic rotor mount. 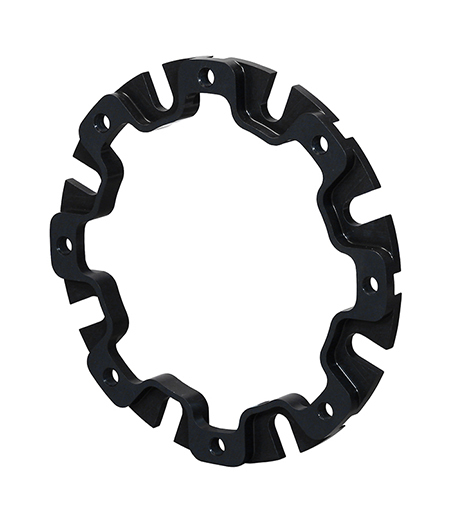 Adapter is supplied with a standard 8 x 7.00” pattern for hub mounting and an 8 x 7.00” dynamic pattern for rotor mounting. Made from high strength aluminum alloy and hard anodized for wear resistance. Use Dynamic mount bolt kit part # 230-10483 and Adapter to hub bolt kit 230-8390. 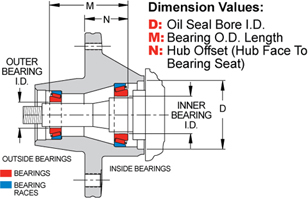 Wilwood bearings & seal kits are manufactured to our highest specifications. With the strictest tolerances to insure the highest performance and long life. Includes all pieces needed for a trouble free Wide 5 hub installation.